Hours: Sunday–Wednesday, 1–9 p.m.; Thursday–Saturday, 1–10 p.m.
No matter where you go, our city will sustain you with the food offerings from the restaurants we’ve listed. But one more thing, and it’s about dessert. Who doesn’t love dessert? 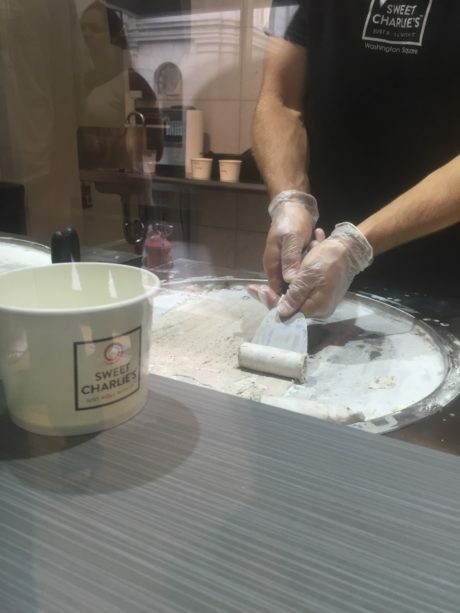 If you’ve been following the trend of Thai rolled ice cream, Sweet Charlie’s has brought this sweet treat to Washington Square with its unique method for making ice cream. Based on Thai street food, the treat begins with liquid ice cream (the vegan selection is made with Nada-Moo, a well-respected vegan ice cream) that is placed on a frozen disc. Quick wrists and a “spatula” spread the ice cream paper thin. 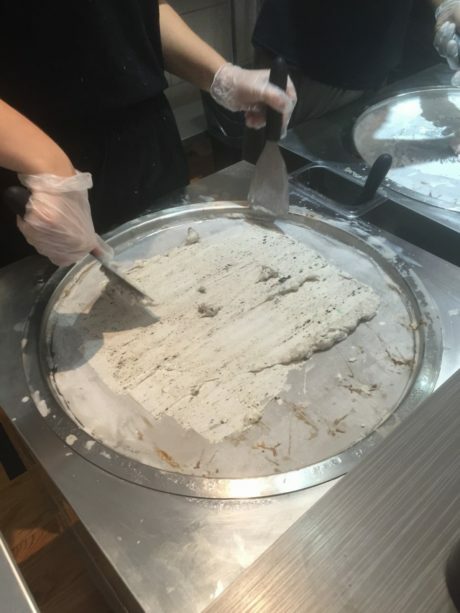 Once the product is a big rectangle, it is then rolled into five curled pieces of ice cream. You can choose from a list of “add-ons” that help to enhance the flavor and texture of the ice cream. My vegan treat was delicious and fun to eat. The entire process takes about three minutes.